Forest biometrics has expanded its influence through time to climb to an unprecedented level of accuracy. It has expanded with computing power allowing for the creation of large and information packed databases. 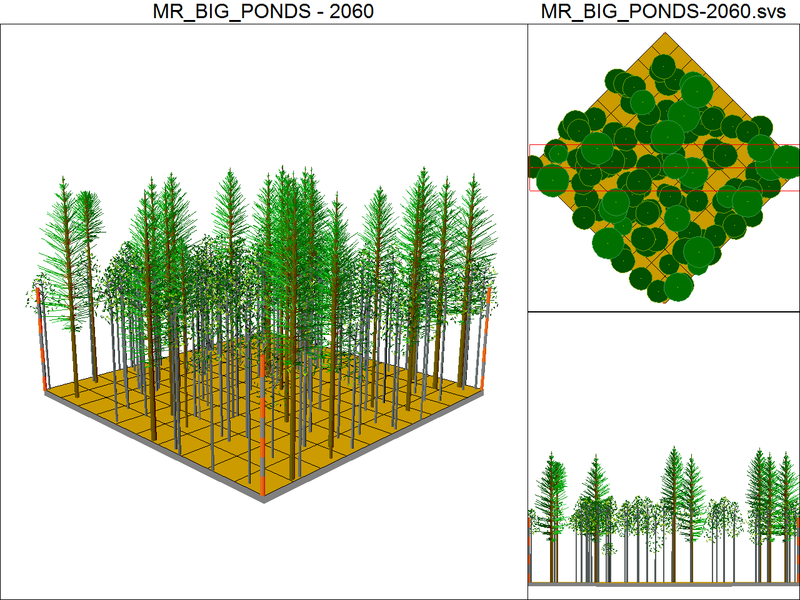 Expert forest biometricians are able to incorporate relevant data characteristics from timber stand inventories to grow virtual forests. It is called forest Growth & Yield projections. These prognoses deliver actionable data for timber log merchandising and volume calculations. But their reach extends to all other aspects of natural resource management. This is where we go to discover biological relationships. These systems generate sort and grade volumes by periodic year intervals (e.g., every 5 years). 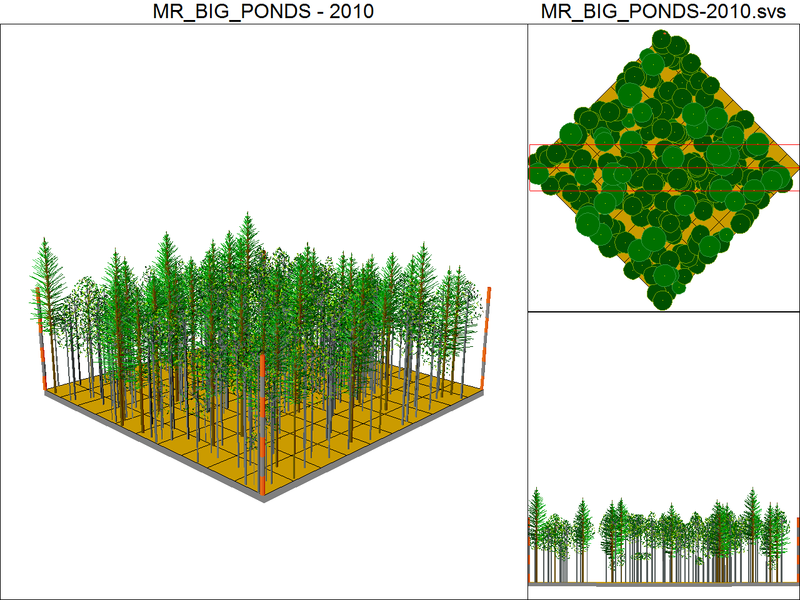 Tree growth and timber stand density are expressed. 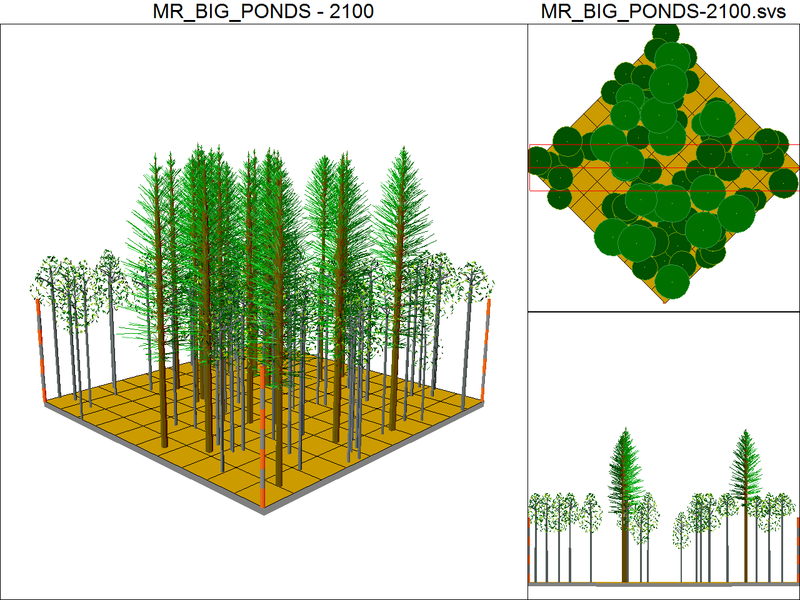 These are combined with additional relationships data for other forest attributes. Attributes such as carbon sequestered, shade generated for the understory, specific wildlife habitat generated, and more. 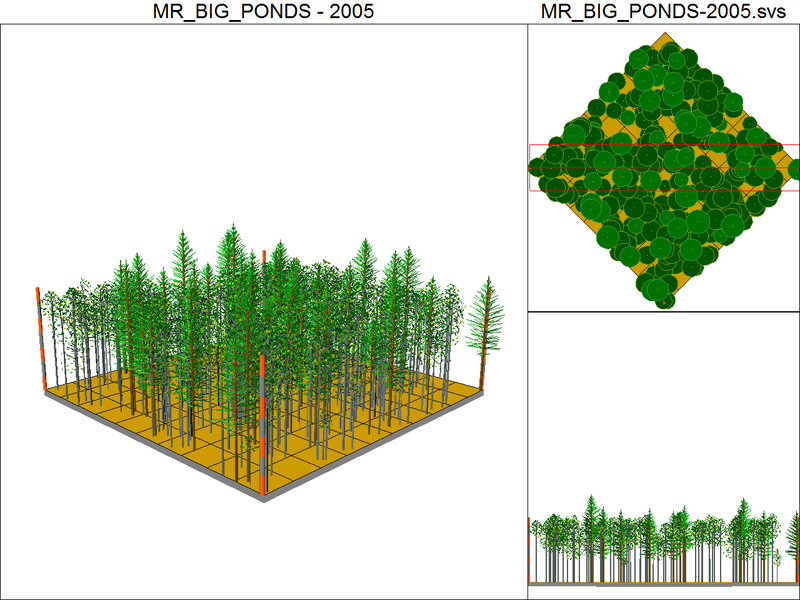 FRASS does not replace forest inventory data processing programs used by the forestland manager. It augments them into a truly powerful tools of the financial analysis database. Forestland managers need a well-defined forest Growth & Yield program to support the financial analysis tools of the FRASS approach. This gives life to measures of land area from GIS for each timber stand. Inter-species competition through the years as compete for light, water, nutrients, and growing space. Tree crown density and crown height on each tree illuminates the grades each log would be scaled as. These are combined into the basic building blocks of the financial analysis system. Many log market areas use timber species groups purchased in sorts. Other log marketing areas transact logs in more sorts than shown here! The list shown here is found in western Washington’s Puget Sound log marketing area. Similar grade classes are seen in western Oregon. To the north, in coastal British Columbia, grades of Douglas-fir and western hemlock are expressed in over 20 grades! 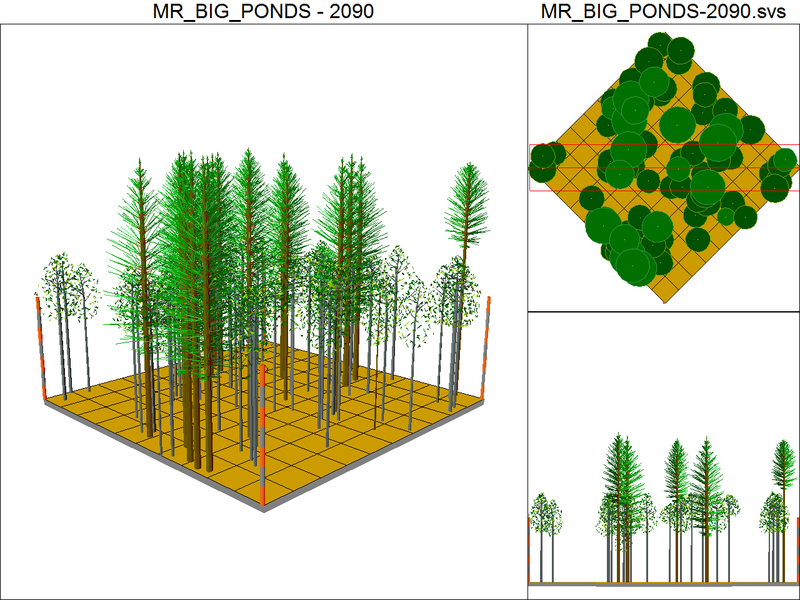 Forestland managers specify sorts and grades from each species group. In the forest biometrics interface, they merchandize each log from future potential harvest events. Most Growth & Yield software platforms do not merchandise logs from the trees modeled for growth. The Forest Biometrics Research Institute (FBRI), discussed below, does merchandise logs from trees. The other software solutions deliver total tree volume. That is the common expectation for tree volume in forestry. But for us, it is not sufficient. We do better than this. FRASS determines future value by combining forest volume predictions with price forecast projections. Other marketing areas purchase species-group logs under a camprun market area format: the log buyers negotiate a price by species group (e.g., Douglas-fir/Larch) to determine the log price for all logs from that group. Most of these market areas report a range of prices (max – min) with log buyers having a lot of “wiggle space” to negotiate prices based on the physical characteristics of the timber sale’s logs. Reliable forest Growth & Yield programs are tailored to reflect the migration of species’ logs into each incremental change in value. FRASS maintains a robust economic package of existing timber prices in each market area expressed in nominal terms; combined with macroeconomic data the program brings unquestionable financial benefits of the well-functioning forest Growth & Yield model. Log merchandising is of critical importance for forestland managers to understand and use. Log merchandising gives the link between trees in the forest and logs paid for by buyers. Because of this, we have developed log merchandising algorithms using the outputs generated by forest biometric programs. Log merchandising gives managers the ability to accurately predict the volume of tree logs harvested at each potential harvest event. This is the data we use to convert tree volume into landowner value during a timber harvest. 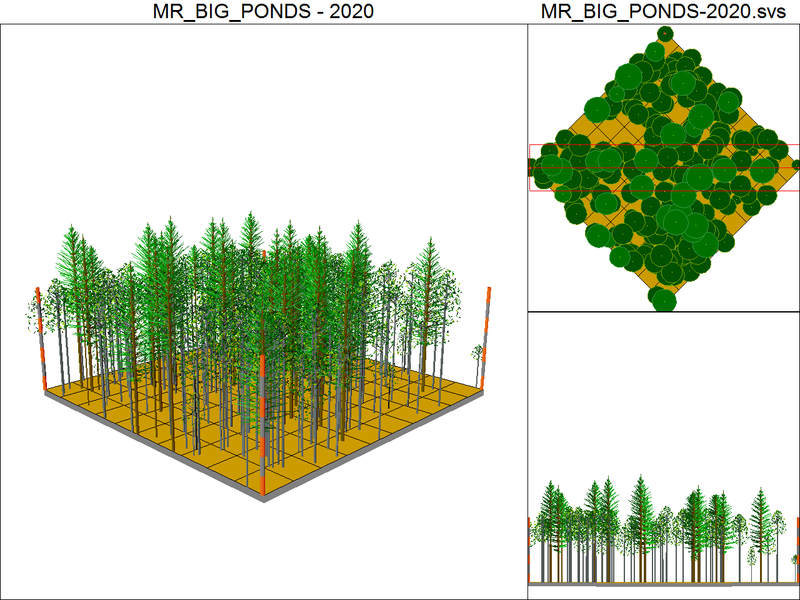 FRASS incorporates the findings into financial projections for each timber stand by matching the expected volume with forecasted log prices. 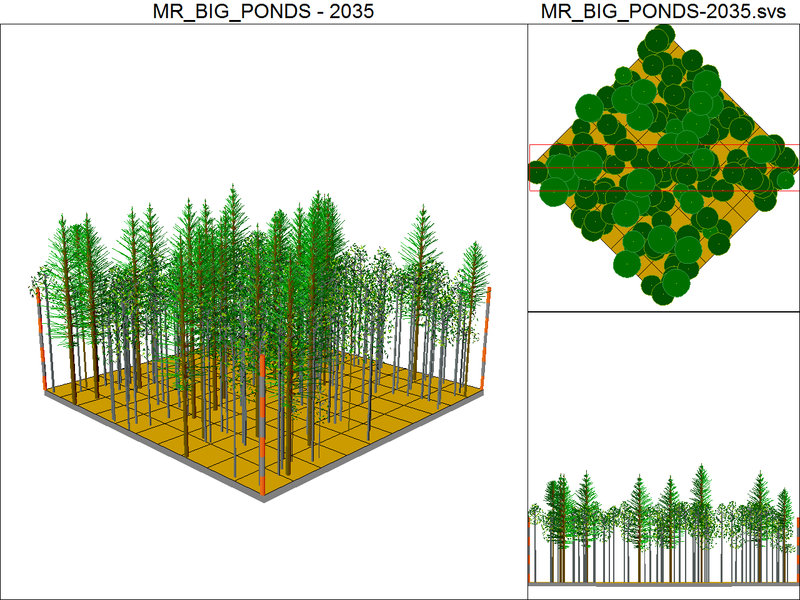 Forest Biometric data are fundamental to predicting how your forestland resource will change through time. This generates values to express how they grow and what habitat will be created through time. There are foresters who will claim to ‘know’ exactly what is happening on your land. But that is not knowledge about the future – it is guesswork. 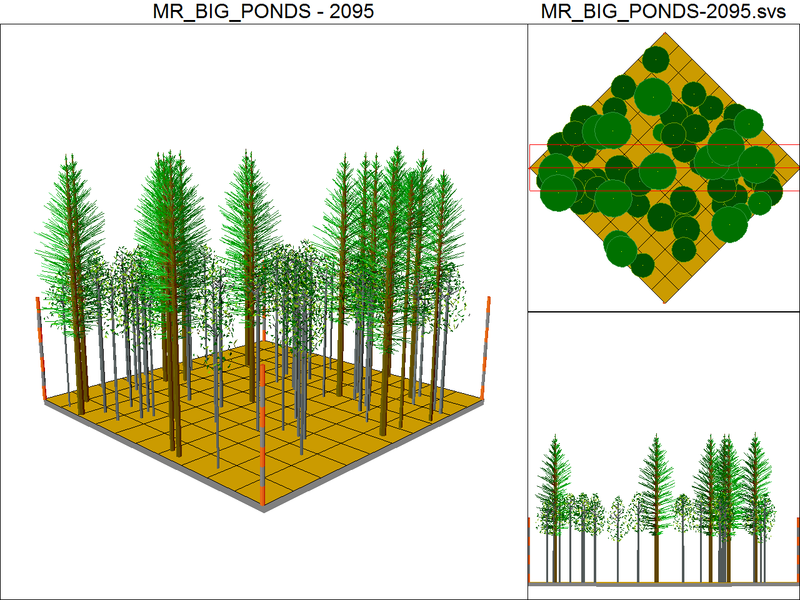 Forest Growth & Yield predictions are created through probable biometric responses to environmental conditions, and tree-species competition forces. Forest biometrics predicts tree and habitat changes through time. These are not guesses, they are projections you can bank on. When applied to the forestland resource, future physical characteristics can be modeled. These projections include wildfire risk, insect and disease vulnerability, and tree senescence. Those are actionable data. Wildlife habitat along with fisheries habitat conditions can be described and enhanced. The U.S. Forest Service Intermountain Forest and Range Experiment Station, in 1982. created the Stand Prognosis Model. 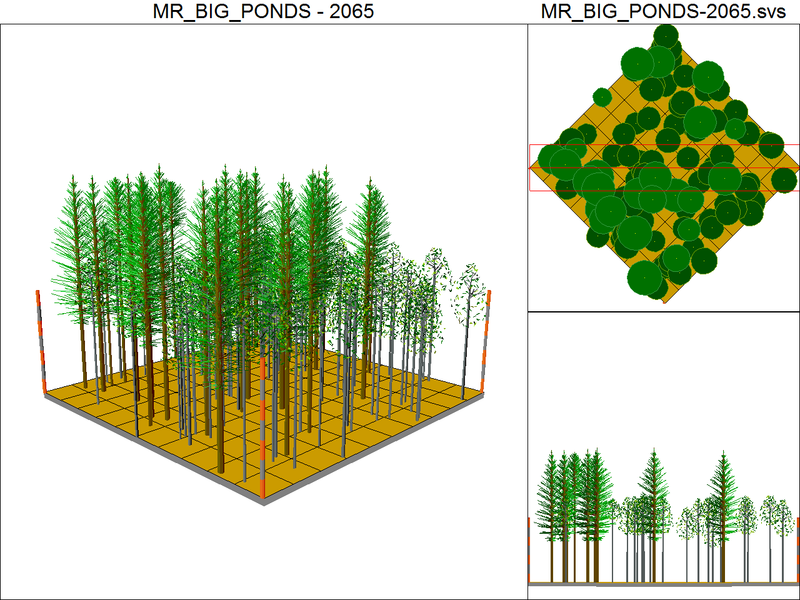 Written by Bill Wykoff, Nick Crookston and Al Stage, this software solution initially projected the development of forest stands. 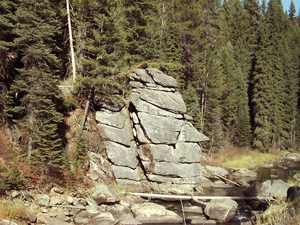 The initial venue for this application was in the Northern Rocky Mountains – North Idaho. Since that time, it has been fitted to forestland conditions across the USA using the Forest Vegetation Simulator (FVS). 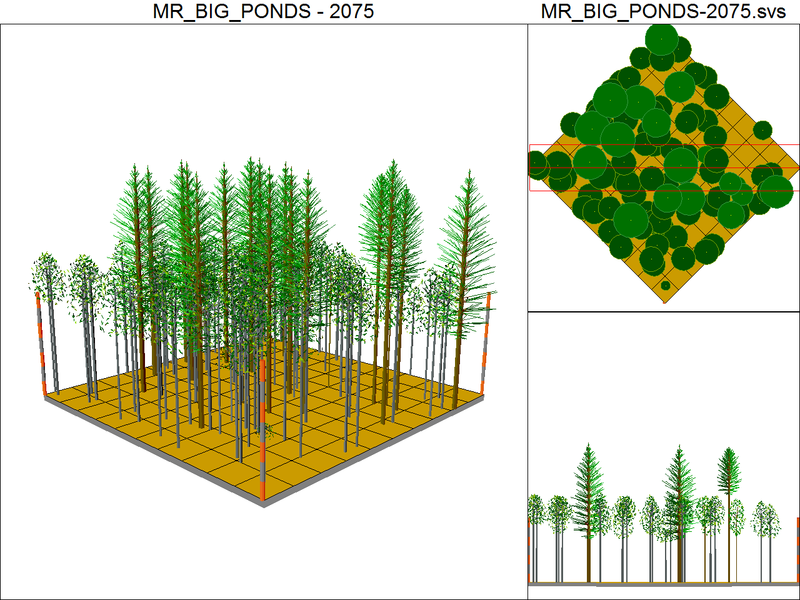 With these regional variants, forestland tree growth can be modeled to reveal important management criteria. The Prognosis-FVS models are multi-species, even- and uneven-age forest growth modeling systems. Prognosis is currently available in approximately 21 regions of North America, including British Columbia, Canada. The USFS program, initially written for mainframe computer environments, is available to run on Personal Computer desktop machines. Currently it operates only in the Windows operating system. Sorry, no Mac, no Linux. 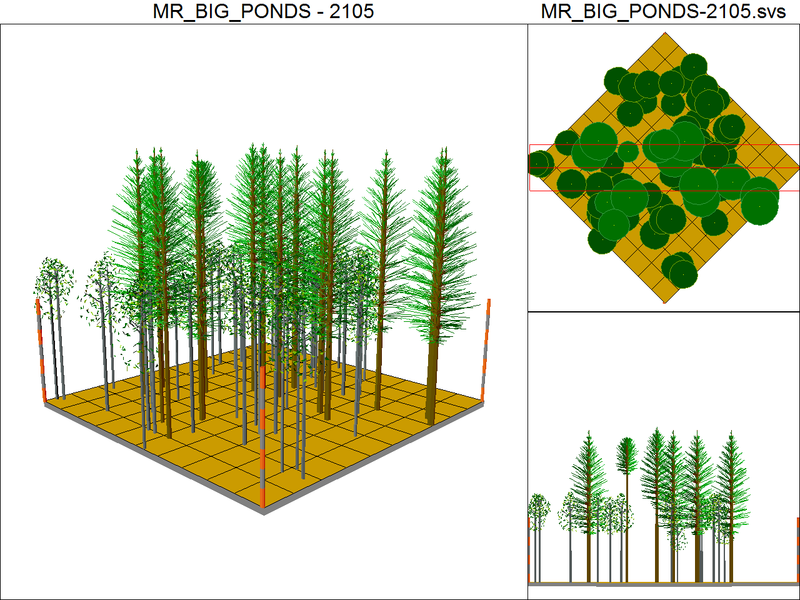 The Forest Stand Prognosis Model does not merchandise logs from the timber stands it projects. 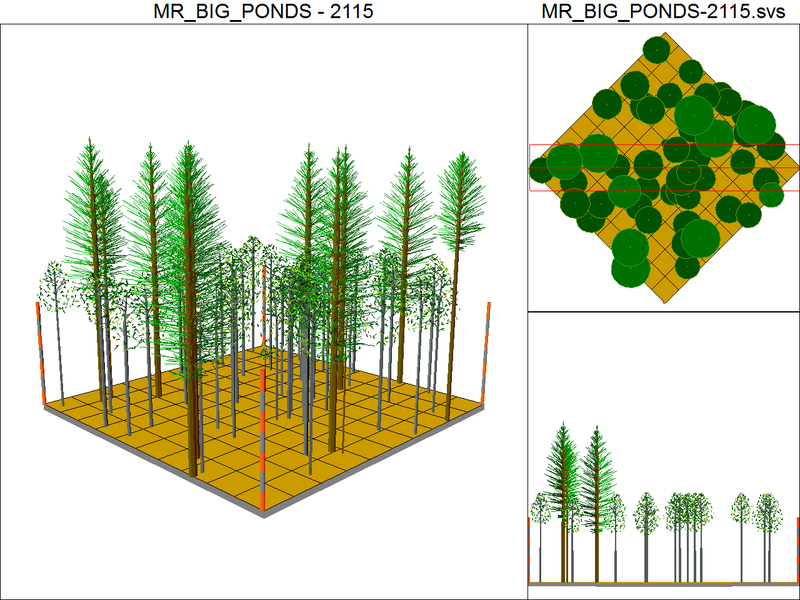 It does model tree characteristic reports for each timber stand projection. These data are further explained in the Landscape Management System software, developed originally by the University of Washington. LMS was federally funded through Rural Technology Initiative. 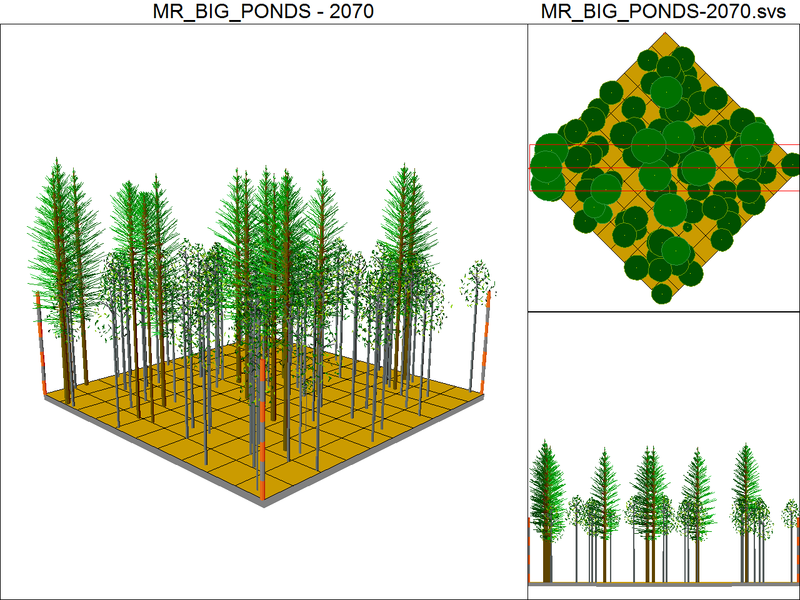 The LMS program is a powerful tool to accompany all instances of the Forest Stand Prognosis Model. We use all those software programs. They work well together, giving results we seek. While enhancing the FRASS Platform, we developed a Log Merchandising Algorithm. We apply this to Stand Prognosis Model predictions: remember, Prognosis does not merchandise trees into logs. From the program’s reports, we do not know the board foot volume in each log grade. We need those data to apply to the value of specific grades bought and sold in the competitive market. These are used to predict tree manufacture into logs specific to the markets they are sold in. Tree records are converted into log grades of manufactured lengths, plus trim. Log manufacture rules of each market area where logs are bought and sold guide this effort. This reveals the volume of each specific sort and grade anticipated at current and future harvest dates. These data make it possible to combine them with price forecasts of volume at each anticipated, or possible harvest date. We then apply volumes to market forecast prices as described in the Real Price Appreciation Forecast Tool. Market data are expanded to financially optimize buyer destinations as Domestic or International buyers. The optimization of log manufacturing reveals powerful insights for potential income generation. This is another analysis algorithm we apply to forest biometrics data. We calculate financially optimal combinations of selling logs into the Domestic or Export markets. We compare the options. While it might seem the decision is obvious, we can assure everyone that it is not. Export grade logs are cut to metric lengths, generally 12.5 meters (41 feet). Domestic logs are cut to 16 or 32 feet (4.9 meters or 9.8 meters), plus trim. The small end diameter of the log at 32 feet is larger than the same log at 41 feet. This is where the log is scaled to fit it into a grade. That may mean a decrease in the log’s grade as it is scaled. The comparison considers the VALUE of the tree as it is scaled into each log grade: small end diameter. We make those comparisons as part of the FRASS User’s interface. It is surprising to witness how merchandising into export markets may increase total tree value by only 1%. Sometimes it is more financial return, sometimes less. FRASS Users discover the value of these options. Here is another suggestion: sale price is not the only consideration to make. Export market logging costs are more expensive. So is the log trucking expense. Consider your trade-offs. In FRASS, this analysis can be applied to your commodities at each potential harvest date. This is what we do. The Forest Biometrics Research Institute (FBRI) Growth & Yield solution can be scaled to all forestland properties. It has been successfully deployed to make forest Growth & Yield projections with timber volume merchandised for local market conditions. 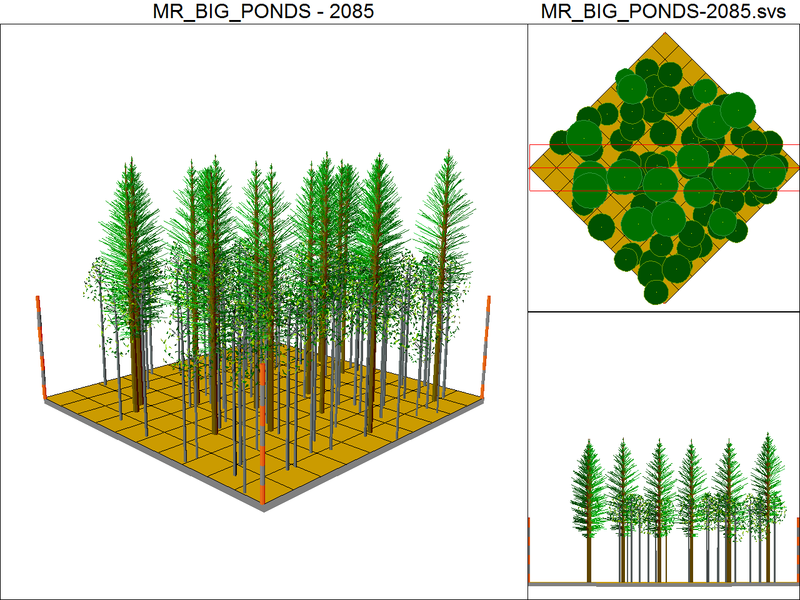 The FBRI model is designed to capture tree growth characteristics giving attention to critical growth factors. an important range of additional variables. FBRI does this to provide reliable predictions for even- and uneven-age management, with multiple specie scenarios. FBRI is a non-profit organization. The services provided require an annual subscription fee based on the area of the subscriber’s forestlands. The flagship forest biometrics program offered is the Forest Projection System (FPS). They provide a FREE FPS DOWNLOAD offer to visitors of their web domain. Experiment with their approach and benefit from this great resource. Forest Econometrics (D&D Larix, LLC) fully endorses Dr. Jim Arney’s Forest Biometrics Research Institute approach. The Forest Projection System (FPS) is a long established and efficient computer program in the Windows Operating System. They are headquartered in Portland, Oregon, and provide services around the globe. Although we endorse what FBRI does, they have not paid us an endorsement fee. We provide our positive feedback to our clients about their service. If you are using FPS, we can welcome your data into the FRASS Platform. Forestland managers need a well-defined forest biometrics Growth & Yield program to support the tools in the FRASS Platform. This approach uses area determination in GIS for each timber stand. 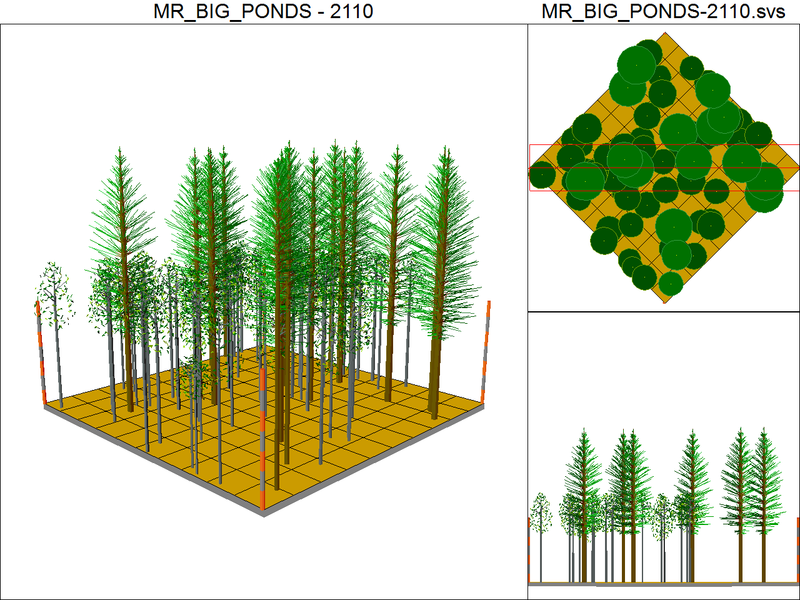 Forest biometrics provides the tree species, size, density, and habitat specifics about each timber stand. These are combined into the basic building blocks of the financial analysis system. Good timber stand stratification means there is little variance within the timber stand. But, the variance between timber stands is substantial. Growth and Yield estimates are made using these data to predict tree characteristic changes through time. While some analysts have made a few projections into the future, our approach is more rigorous. These log sort & grade volume estimates are combined with value predictions, to create a robust horizon of opportunities. This is why the results generated by FRASS are used by investors, forestland managers, accountants, financial officers, and forestland appraisers. This is where you discover your forestland asset value. Some forest biometrics systems are more accurate than other systems. Ultimately, the solution each landowner has adopted for their forestland is the choice that has been made. Now it is time to use it. When you see it at work, you will understand why we make this happen.Getting more interested? Stick with us, the answers are here for you to discover.This is what we do.